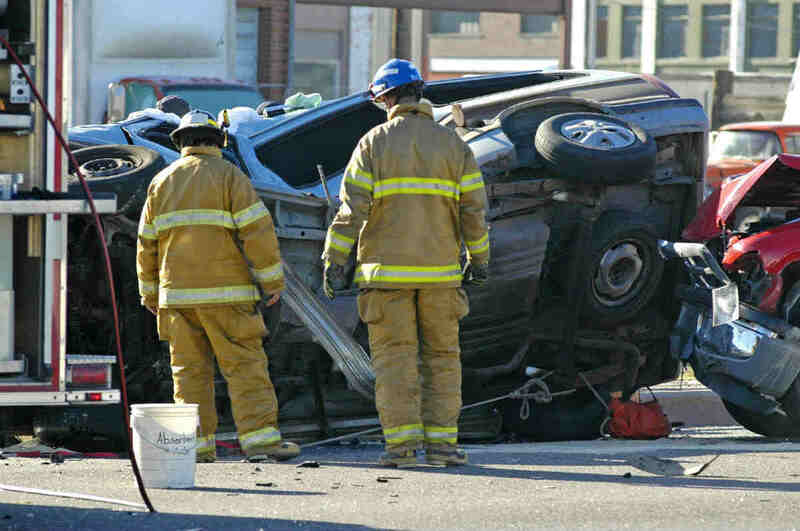 Rollover car crashes have a higher risk of death than other types of auto accidents. Talk to a Lawyer for Free 24/7 at (314) 361-4242! Studies into the incidence of rollover crashes by the National Highway Traffic Safety Administration (NHTSA) have found that this type of accident has a significantly higher risk of death than any other type of crash. If you have survived such a crash or lost a loved one in a rollover accident, a St. Louis car crash attorney may be able to help you recover compensation for financial damages. The study conducted by the NHTSA collected crash data from several consecutive years. A third of all fatalities occurred after a rollover crash. A passenger in a rollover had a 10% higher risk of death than when in a vehicular accident where the car did not flip. SUVs have the highest risk of rolling over, followed by pickup trucks and minivans. According to the National Highway Traffic Safety Administration (NHTSA), approximately 10,000 people are killed in rollover crashes every year. Of these, more than 8,000 are a result of single vehicle rollover crashes. While rollovers account for only 3 percent of all vehicle crashes in the U.S., they are responsible for a third of all passenger deaths across the nation. Statistics also show that sports utility vehicles (SUVs) are more likely to rollover compared to cars, because of a higher center of gravity. In many cases, rollover crashes happen because a driver has to suddenly swerve to avoid another driver who abruptly comes into the path of the vehicle or to avoid an unexpected obstacle on the road. While passenger cars may slide across the road under this maneuver, heavier vehicles such as SUVs have the tendency to tip and rollover. The roofs of some vehicles may be prone to being crushed and the driver or passengers may get ejected in a crash. After a rollover crash, the roof supports, seat belts, seat backs, head restraint devices, buckles, and windshield and glass must be evaluated. There are a number of factors that increase the likelihood of a rollover accident and fatal injuries. This includes driving with a full load of passengers, younger drivers, speeding, and the failure to wear a seatbelt. Rollovers often happen when a driver tries to pass another vehicle and overcorrects their position too quickly. Sudden maneuvers can throw off a car’s center of gravity, making it more susceptible to flipping onto its side or roof. Another risk factor for rollovers comes with long stretches of driving on interstate highways. A tire blowout can cause a single vehicle accident. The pressure and heat from prolonged driving can make a tire more susceptible to suddenly imploding, causing a driver to lose control over the vehicle. The combination of a flat tire and attempting to maintain control over the vehicle makes it more susceptible to rolling over. The cause of a rollover accident is very important in helping to determine if you are entitled to compensation for your injuries. If the accident was result of another driver’s negligence than they could be held accountable. But in some instances it is the design of the vehicle or the quality of the tires which were the underlying cause of the accident. If you are not responsible for the accident, you are entitled to be compensated for medical expenses, lost wages, and the cost of repairing your car. If you are a surviving family member of a person who lost their life in a rollover accident, you could be eligible to file a wrongful death claim against the negligent party. Contact a St. Louis car crash attorney in order to find out what all of your legal options are after a rollover accident. These serious accidents often cause multiple injuries. Call The Hoffmann Law Firm, L.L.C. at (314) 361-4242 for a free consultation.